The 3DS is enjoying a bumper 2013 when it comes to must-have releases, and Luigi's Mansion: Dark Moon (or Luigi's Mansion 2 if you're outside of North America) has been one of the best titles to hit the handheld this year. The game has received overwhelmingly positive reviews and has set tills ringing in both the West and the East. Now the dust has settled, we decided it would be a good time to catch up with the team behind this outstanding piece of software and talk about its creation, its influences and possible future projects. We spoke to Bryce Holliday (Game Director for Luigi’s Mansion 2, Next Level Games), Ken Yeeloy (Producer for Luigi’s Mansion 2, Next Level Games), Yoshihito Ikebata (Supervisor for Luigi’s Mansion 2, Nintendo Co., Ltd) and Ryuichi Nakada (Supervisor for Luigi’s Mansion 2, Nintendo Co., Ltd). Nintendo Life: To Next Level Games: Can you explain how you became associated with Nintendo? Ken Yeeloy: When Nintendo was interested in making their Mario soccer game, they had researched a game called Sega Soccer Slam that was similar to what they wanted. When they tracked down the developer of that game, Black Box Games, they learned that most of the development team had moved to a new company called Next Level Games. From there, they had Next Level Games build a demo for them and the rest is history! NL: The Mario Strikers titles were original concepts, but did you feel additional pressure when tasked with the Punch Out!! revival, given the beloved nature of that series? Ken Yeeloy: I don’t think we felt any additional pressure. In fact maybe the opposite. We had a lot of true fans of the original Punch-Out!! game on the development team that were really excited to work on that project. Early in development everyone was on the same page for the vision of the game because as fans themselves, they knew what they wanted to see updated. All the ideas that came up on that project felt like: “Yeah! People are going to like that!” and we just had smiles on our faces constantly when we played it throughout development. NL: Prior to Luigi's Mansion 2, how would you associate Nintendo's role and input into your Mario football and Punch Out!! projects? Was the Kyoto office hands on, or were you left to your own devices? We’ve worked with different groups within Nintendo in the past and they all have their own directional styles. 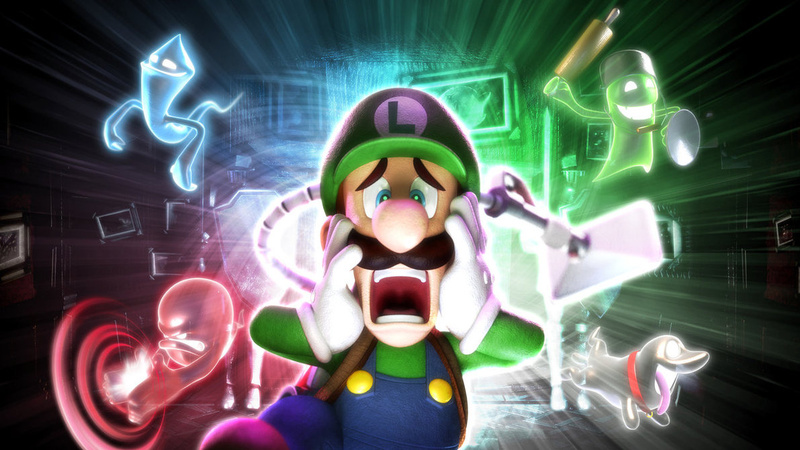 Luigi’s Mansion 2 was definitely a different development experience than previous projects, which is understandable given it was a very different game and we were working with a group at Nintendo that we had not worked with before. So that being said, it is fair to say that there was more “hands-on” involvement on Luigi’s Mansion 2. NL: What was it like to work with Nintendo on such a treasured IP as Luigi's Mansion? Ken Yeeloy: It’s always a great honor to work on Nintendo IP. We learn so much about the IP that we would have never known otherwise. At the same time, we get the opportunity to try to push and expand the IP with our ideas. It is a fun and creative challenge to try to make a game that people around the world will enjoy. Nintendo has definitely had success with that in the past so it’s great learning from them as well as sharing our knowledge with them. NL: Is it true that Shigeru Miyamoto scrapped all the original bosses and made you start over? What were his reasons? Yoshihito Ikebata: Due to the bosses not being original and that they weren’t characteristic of Luigi’s Mansion. However, we had to redo this in its early stage so there wasn’t much wasted work. Ken Yeeloy: I believe Miyamoto-san’s comments were along the lines of: “When people see the bosses from Luigi’s Mansion 2, I want them to say 'That’s obviously a Luigi’s Mansion Boss' and not 'What boss is that?' "
NL: Whose idea was it to include Toad in the game? Yoshihito Ikebata: We’re not sure whose idea it was but Toad also appeared in the previous one, and so we wanted to definitely have Toad appear in this one. Also, we wanted Toad to appear in a different way compared with the original Luigi’s Mansion. Ken Yeeloy: I’m not sure it was anyone’s idea specifically. It was one of the things that just made sense to include from the original Luigi’s Mansion. NL: How did you decide on the multiplayer options present in Luigi's Mansion 2? Ryuichi Nakada: First, in regards to the big objective of aiming to reach the tower’s top floor while cooperating with everyone, we decided on this at an early stage. When the structure that creates the tower floor was done, NLG (Next Level Games) and NCL played 4-player numerous times, and from trial and error, we asked ourselves "what rules would make this fun?" Bryce Holliday: Multiplayer is a perfect example of Nintendo’s development paradigm of gameplay first. As noted by NCL above our multiplayer went through much iteration to find the ‘natural way to proceed’. You can only evolve your game correctly under this paradigm with a commitment to try ideas out even if only to prove they don’t work. NL: How did you approach the multiplayer mode, given that the first Luigi's Mansion title was entirely single player? Ken Yeeloy: We wanted to keep the multiplayer experience as similar as we could to the single-player experience. The other factor that affected what we could do for multiplayer was the 32 MB limit which makes it possible for Download Play. Because of that, it was necessary for us to force ourselves to focus toward what we had in a creative direction. NL: Why did you decide against supporting Control Pad Pro? Ryuichi Nakada: We particularly didn’t make any investigations. We feel that dual analog controls aren’t necessarily simple controls for casual players, and our goal was to have controls where casual and advanced players could play the same with controls that aren’t so. Bryce Holliday: The Core fishing mechanic was a sense of frustration in the original game for less skilled players. Early on we modified this mechanic to match the 3DS controls available as well as simplify the scheme to newcomers to the Luigi’s Mansion franchise. We also experimented with the Control Pad Pro within NLG, but our dollhouse camera is fixed almost throughout the game, again limiting any benefits a second analog stick would provide. NL: What changes were made from the GameCube game to make it more suitable for a handheld platform? Yoshihito Ikebata: By making it so that it was a separate mission structure, players could also play the game for a short period of time. Bryce Holliday: We altered the main ghost ‘fishing’ mechanic to match the controls available on the 3DS. The new system of capturing required us to change the way the basic ghosts behave about the mansion and how they try to escape from Luigi once tethered on by the Poltergust 5000. NL: Luigi's Mansion 2 is your first handheld game. With this in mind, did you have to approach development with a different perspective? KL: From a technical perspective, yes. We were learning about the hardware as we were building the game itself so there was much more “can we do this?” on this game than in say Punch-Out!! From a creative standpoint, the approach was still the same. Start with creating solid core gameplay. That philosophy is independent of hardware. NL: What challenges did supporting stereoscopic 3D present? Bryce Holliday: The first challenge was to understand what good 3D meant which we were learning throughout most of the project. From there it was how to use it effectively in the various aspects of the game, such as presentation composition, UI, etc. This involved a lot of experimentation which also allowed us to try out some really cool new ideas that you wouldn’t do in a normal 2D game. NL: How did you try to convey Luigi's cowardly nature without reducing his status as the game's hero? Ryuichi Nakada: We weren’t really concerned about “because he’s the hero.” In regards to Luigi’s personality, we hadn’t really made many requests to NLG, but we feel that they did a very good job with the expression. Ken Yeeloy: Developing Luigi’s character was a lot of fun. As we researched his character, we felt he was a far more complex individual emotionally than his brother Mario and we thought there was more opportunity to show that off in the game. It really ended up working well for us. We were able to show off his quirkiness, imperfections and vulnerabilities in a comical way while still maintaining him as the "hero". If many people felt close toward Luigi, then we’ve succeeded. NL: While there was just one large location in the first Luigi's Mansion, there are multiple mansions this time. What influenced that decision? Ryuichi Nakada: The main reason was to apply change to the game environment. By preparing various settings, the game experience was expanded. Bryce Holliday: Luigi’s character would be afraid of many different types of environments so we wanted the player enjoy helping Luigi handle these novel places to aid him in overcoming his fear. NL: To Next Level Games: Do you feel that you've gradually stepped up to bigger and bigger franchises with Nintendo? Ken Yeeloy: Haha, it kind of feels like that! I think we’ve also been tagged in some circles as the ones who can revive old Nintendo franchises. I think we’ve solidified our studio’s ability to collaborate with Nintendo to create high quality games. I am certainly excited to see what IPs we get to work on next! NL: Luigi's Mansion 2 received impressively broad critical praise and is performing well worldwide; if there's one element of the game that you would bottle as a key ingredient to that all-round success, what would it be? Yoshihito Ikebata: Perhaps that from the long period of time that was spent, we were able to fill in a large amount of material. Ken Yeeloy: I think it’s because the game is focused more on the adventure side of the action / adventure genre. The game moves at a slow pace and it the way it is built, players really want to explore and enjoy the huge amount of content in the game. We’ve seen so many players meticulously going through every nook and cranny of all the mansions to discover every possible experience and object. NL: To Next Level Games: Would you like to one day become an affiliated Nintendo second-party studio? Ken Yeeloy: Haha, it actually feels like we already are! We have a great partnership with Nintendo and when it comes to the aspects of game development, we are held to the same standards of any Nintendo second-party studio. NL: After re-imagining Luigi's Mansion and Punch-Out!! which beloved Nintendo franchise would you love to get your hands on next? Bryce Holliday: Really, we are grateful to work on any Nintendo IP but if there are any wish-granting entities listening out there, we would love a chance to work on a Zelda or Mario game! Massive thanks to Next Level Games and Nintendo Co., Ltd for taking the time to speak to us, and to Nintendo UK for arranging this interview. I have to say, they did a fine job with Luigi's Mansion, as I expected. Even though this iteration didn't catch me the way the first one did, I'm still very impressed. I might just try to pull out my FE cartridge for the first time in 4 weeks to give it another try. BTW, Why do all developers want to create a Mario of Zelda gme? Surely the IP library is vast enough to have another suggestion? Great interview anyway! I always like stories behind games. Really hope they're working on new version of "Mario Strikers" and "Punch-out" for both 3DS and Wii U! OMFG I'd love a new game in the Super Princess Peach series or even better, a game in the veins of Super Mario Bros 2 (USA). Can the developers please tell me why when you are moving left or right in this game, the camera won't scroll until Luigi gets close to the side of the screen, and he gets even closer when running. This hinders your ability to see things you are about to walk or run into. I think everything else in the game is great, but that honestly ruined the experience for me. Having the character in the center of the screen or towards the back when scrolling left or right is ideal since you can see more before running into it. The new animal crossing seems guilty of the same thing. WHAT GIVES?!?!? I always thought they were official 2nd party. Get on it Nintendo! Get a contract written up ASAP! They did a fantastic job on Dark Moon; really looking forward to seeing what they'll produce next. They're not getting Zelda or Mario any time soon that's for sure. Focus on the second level of franchices. Ie Donkey Kong or Metroid. I can see them doing a 2d Metroid for the 3ds! Nintendo should give them whatever they want. We need fresh minds reinventing classic franchises and these guys have proven they're capable of delivering. If Retro isn't working on a StarTropics revival, I'd LOVE to see how Next Level would bring the series into modern times. Awesome! Next Level seems like a great company. I look forward to seeing what they work on in the future. I feel that they would make a great second party developer for Nintendo. Really impressed with these guys, they've done some great games and LM2 was probably their best yet - bright future ahead! Congrats NL for getting such a high-profile interview! Really awesome to read. @b5234 Lol True Dat, I dont like the position of tye camera in Animal Crossing, but imma still get it. 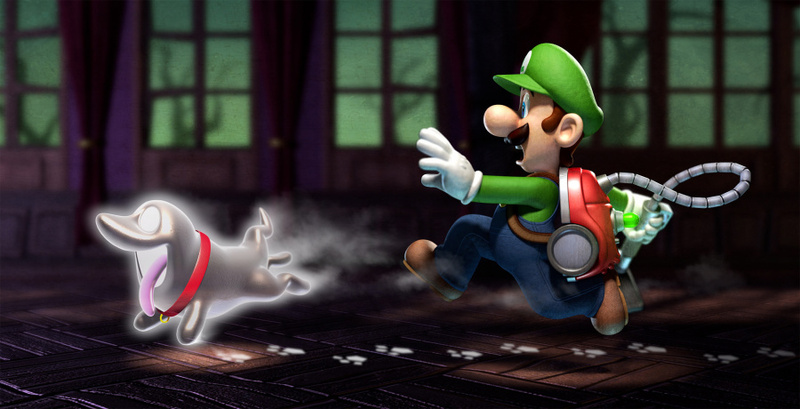 Luigis mansion Wii U, that would help shift some more consoles! One of the best 3Ds games by far! Just got this yesterday for my birthday! I love it so far! Back to the roots – NHL Hits, Soccer Slam, Smash Football! I still haven't gotten the opportunity to purchase this game yet. After Animal Crossing New Leaf, I plan to change that soon. I loved LM:DM , had lots of fun, going to try and find everything in it at some point. Thank you very much for making this interview, Damien. It was very informative. I really love these guys' work and they deserve all the accolades they get. They seem to have a knack for comical games with tons of details. I really enjoyed Luigi's Mansion Dark Moon, and Punch Out. Seeing them continue to work on revising another IP would be great. I can see them being as important as Retro. @FernandoMachado I Agee. We need a sequel to Super Mario 2 (USA) Wart needs a come back! 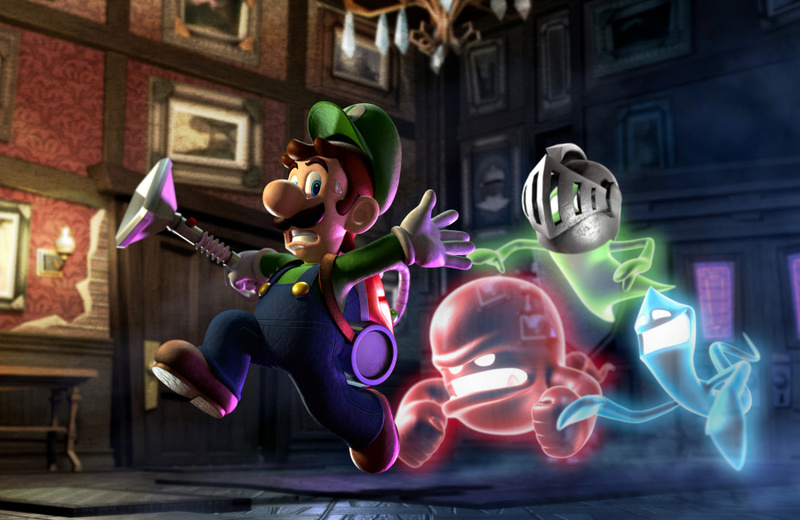 Luigi's Mansion Dark Moon is a great game, but the first one was better. LM2 had a few flaws that should have been addressed. First the ghost were lacking character and personality they were more like generic monsters then ghosts. Second the game needed to have a midway check points, because some of the missions were to long for portable play, and lastly I think Circle Pad Pro support should have been added. Love the game guys, it's the sequel I always wanted and more. Oh Next Level games? I thought they meant Level-5, they could make a good Zelda game, for the puzzles at least. Bring luigi's mansion to wiiu, make it awesome and even have that great online co op (maybe 2 people at the same wii u online co-op) and watch the consoles fly off the shelves. Just started reading, and read the reference to Sega Soccer Slam... WOOOOOOOOOOOOOOOOOOOOOOOOOOOOOOOOOOOOOOOOOOOOOOOOOOOO!!!!!!!!!!!!!!!!!!!!!!!!!!!!!!!!!!!!!!!!!!!!!!!!!!!!! That's a game I geeked with my best friend back then when I was out of the country, I swear it was just some awesome good times. I like their attitude. They don't seem to be intimidated of tackling high-profile games like Mario and Zelda, which would put pressure on them I can only assume. But with their confidence, they're showing me that they would definitely know what to do. @rmeyer Oh yea, that's a great idea ) I can imagine the potential, and this game def deserves dlc treatment.